Niki Story is the latest release in a series of apps designed with special needs in mind: Niki Talk, Niki Agenda, Niki Agenda Mobile, Niki Music, and Niki Time. 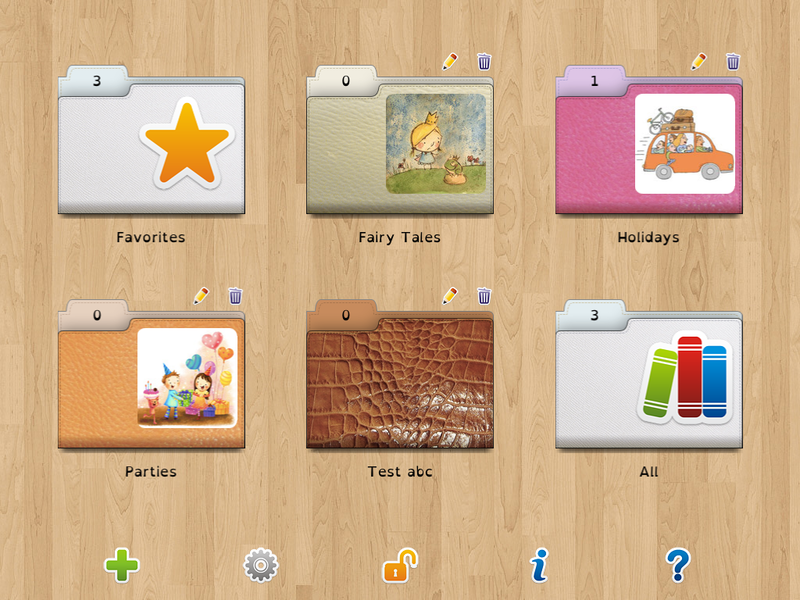 As a parent of two children with special needs, I look forward to each app release, knowing I will find it useful. One thing I love about all the Niki apps is how intuitive they are to use right away. No need for complicated manuals- I was able to open up Niki Story and start using it right away. My favorite feature is the ability to embed smaller image tiles with labels (called “Text in Symbols” within the app) into the story pages- In this way you can add your own picture symbols to help the reader make connections with the media you add to each page. 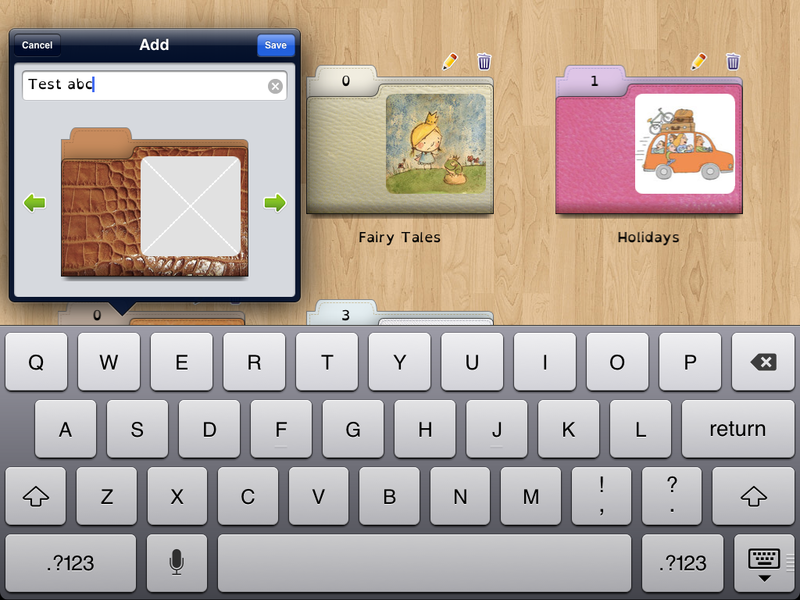 You can also record a message for each page (see wish list), and this is another favorite- embed a video! On top of all that, you can also draw and type on the story pages as well. A couple of the features you see in Niki Story were incorporated via User Feedback, which is another thing you should know about the developer of Niki Story- he really values our opinions. As the parent of a child with special needs, he gets it too. can be used for story making, video modeling, vocabulary development etc. I would love to be able to add recorded messages to multiple spots on the page (currently you can record one message per page). I would like to embed a recorded message for each chunk of text or image on a page. Currently when you add “Text in Symbols”, you can minimize the size of the boxes, but you can’t enlarge them without losing some of the image and text. I would also like to add photos directly from the camera instead of accessing the photo library first. 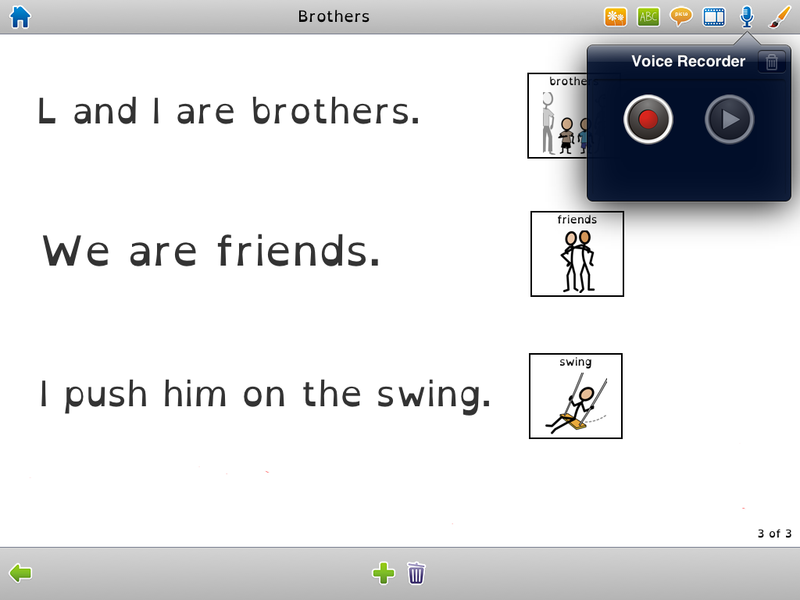 Each page can contain pictures, text, text in symbols (pictograms), voice recording, video and drawings (made directly on the screen with your finger). Especially, Niki Story helps people with communication difficulties and behavior problems: expanding the vocabulary, improving understanding, stimulating narrative ability, supporting thinking and memory, encouraging autonomy, inclusion and participation in the life contexts.